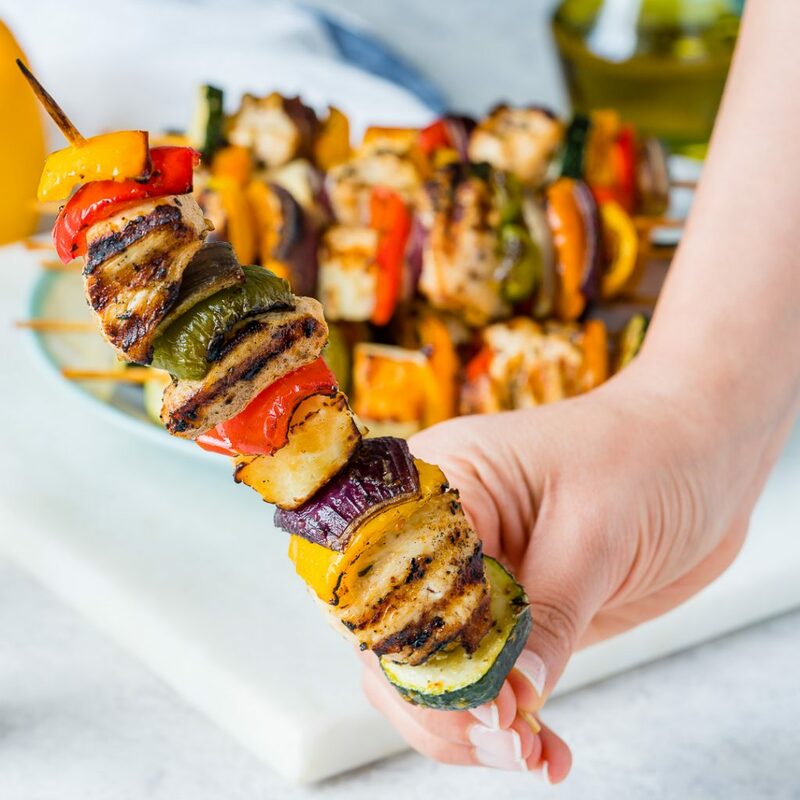 These Grilled Chicken + Veggie Kabobs Make Summertime Clean Eating Complete! 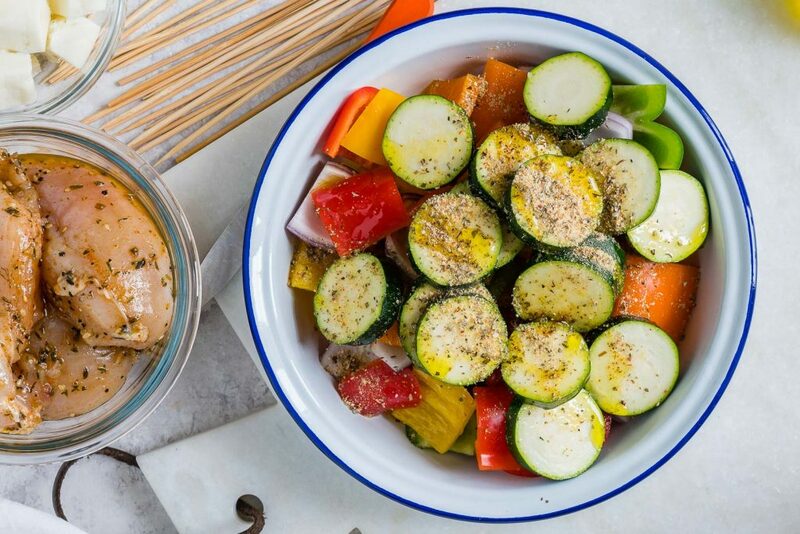 Place the veggies in a bowl and add 2 Tbsp of olive oil and 1 Tbsp Italian seasoning. 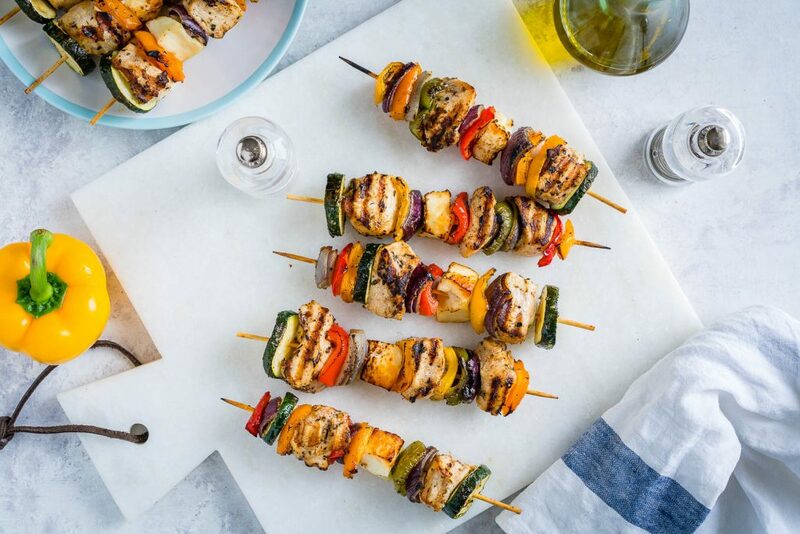 Season to your taste then toss well to get all pieces coated. Place the chicken in bowl with the remaining oil. 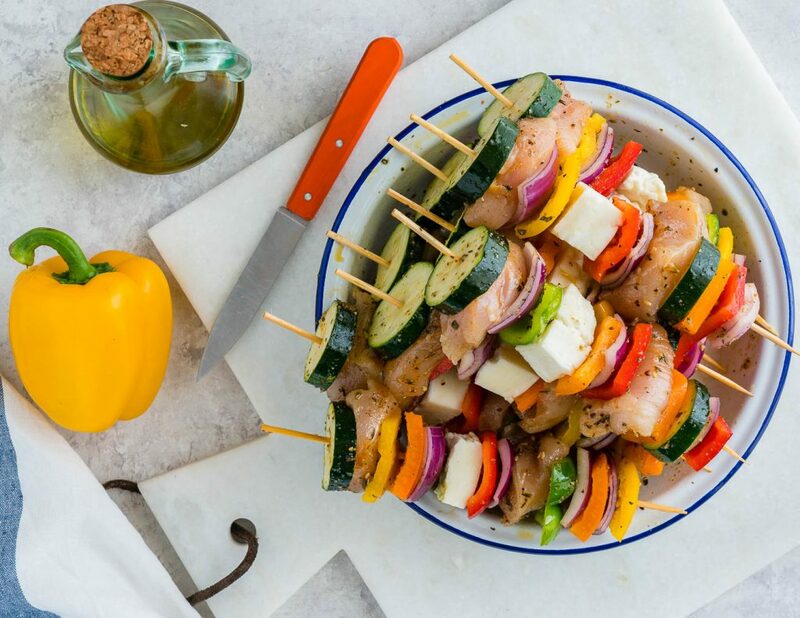 Season with sea salt and pepper and add garlic powder and 1 Tbsp Italian seasoning. Mix to combine. 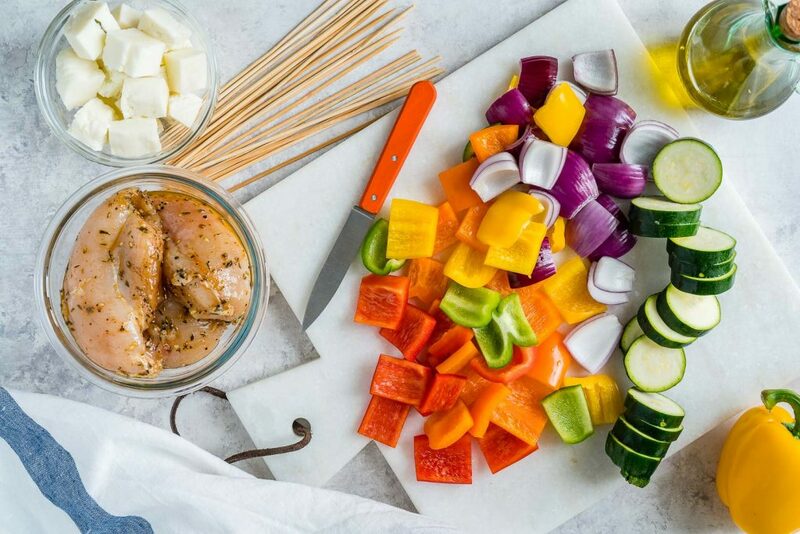 Soak your wooden skewers in water for 20-30 minutes minutes while your chicken, and veggies marinate in the fridge. 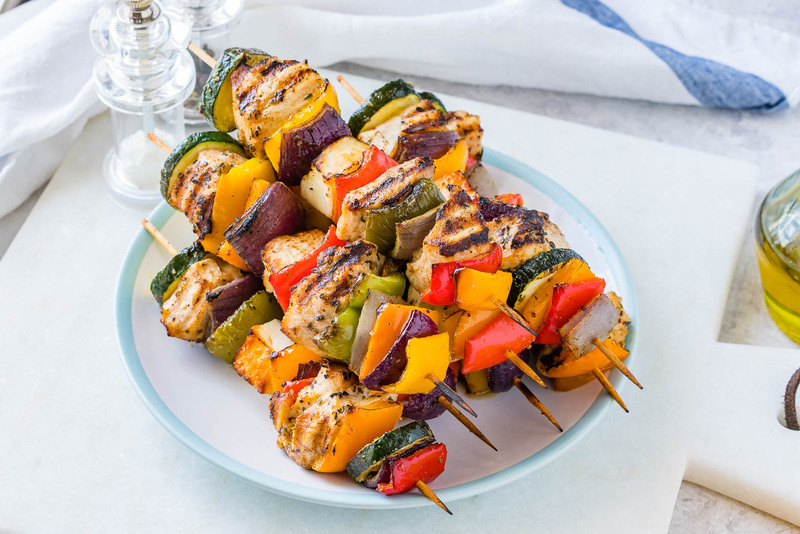 Alternate between veggies and chicken on the skewers until everything is used. 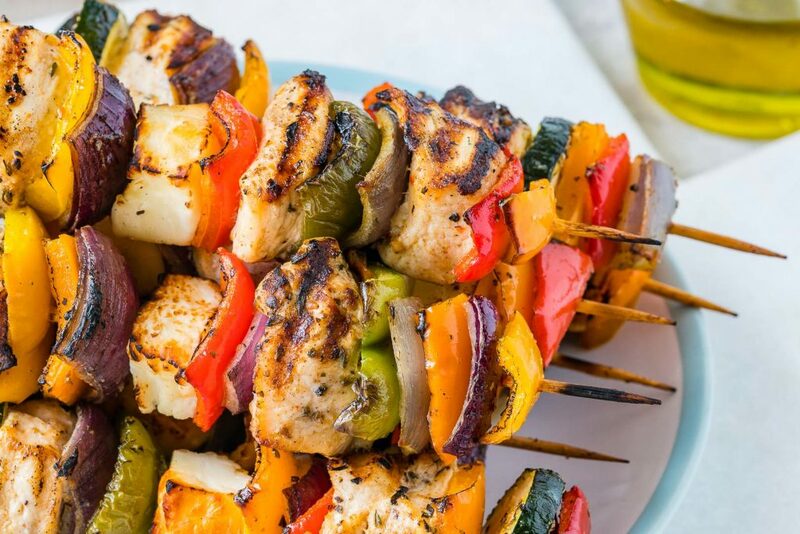 Turn the heat down to medium heat, spray or grease the grill if needed, and add the kabobs. Grill for 2-3 minutes, turn and repeat until each side it showing grill marks and the chicken is cooked through.